As I’m always on a mission to clean up my diet, I’ve recently been focusing on reigning in my snacking. Whether I’m in the office or working from home, it can be tempting to munch mindlessly on whatever’s around. Of course, I end up feeling totally bloated and terrible after literally eating all day. It’s funny– when I was on a steady effort to lose weight a couple years back, I actually ate more frequently, just with better foods. 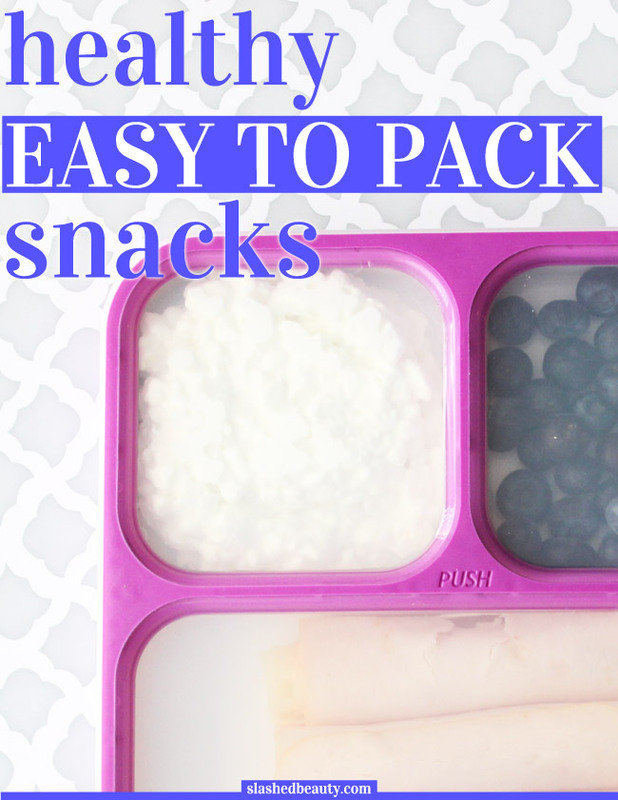 So lately, I’ve been exploring different healthy snacks that are also tasty and easy to put together for packing on the go. I thought I’d share three of my favorite go-to combinations that I’ve been packing for myself lately, perfect for those looking to eat healthier or who just need convenient options. What I find helpful in terms of packing snacks— or lunches in general— is using a bento box for portion control. I personally have a bento lunch box which has three compartments and is totally leakproof, even between the interior compartments (super important for most of my favorite snacks). 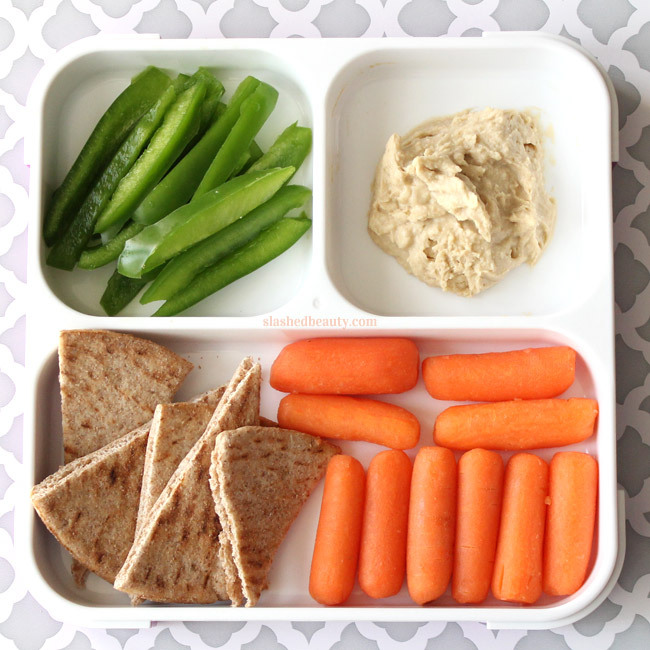 Using a bento box lets you portion out your lunch and snacks mindfully to help avoid overeating. Meal planning ahead of time will also help you stay on track– see how to do it on a budget here. You can see how much food I can still fit inside in the below “snack packs” I often assemble for myself. This snack pack is 185 calories. This snack pack is 330 calories. This snack pack is 271 calories. These “snack packs” are on regular rotation during the week for me. Sometimes I even eat one of these as my whole lunch and I’m left totally satisfied. Depending on your own diet goals, these could be a great option for mid-day snacking while trying to eat healthy. Remember: eating clean doesn’t mean eating less, just eating smart. 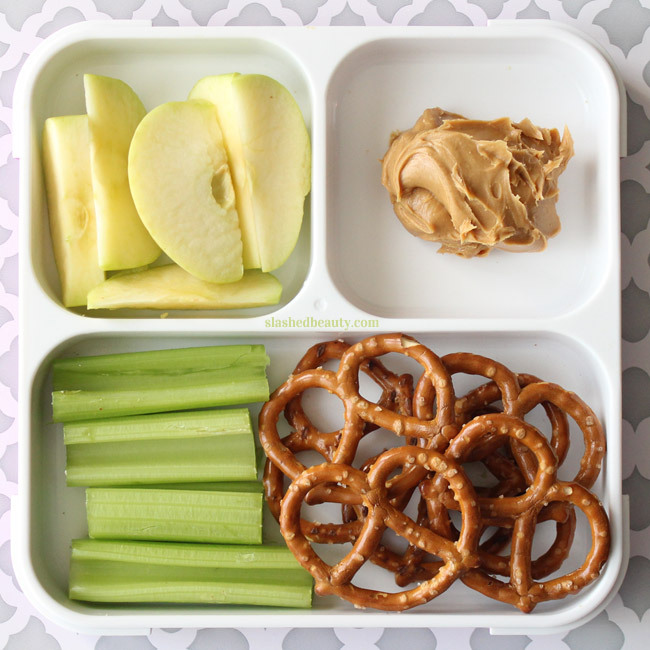 What are your favorite weekday snacks? 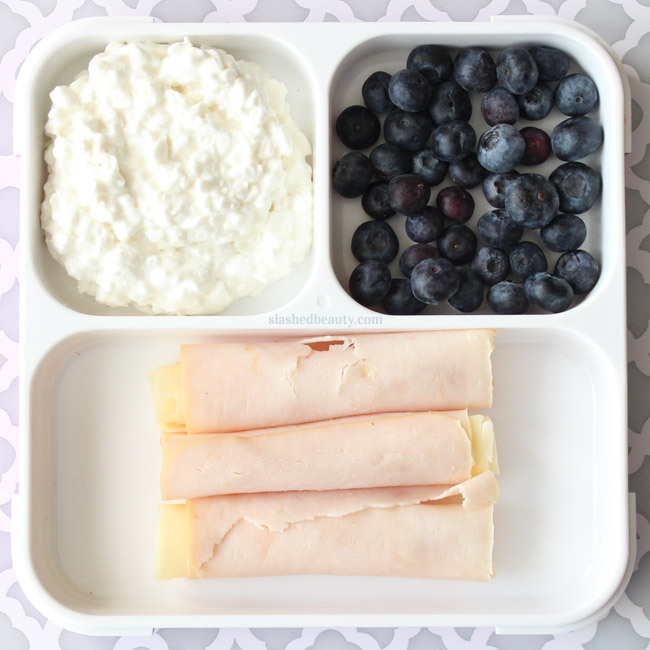 Love these snack ideas – I love healthy yet tasty snacks, I’m so unimaginative! My fave is the hummus, so yummy! Don’t forget to squeeze a li’l bit of l;emon on you aplle slice. I never knew how to pack sliced apples. They always turn brown. Any suggestions? Hmm I’ve never had that problem, but then again I’m keeping them in this airtight container plus inside the fridge. How were you packing them before? Squirt a little bit of lemon (others use vinegar, but I haven’t tried it), then pack it in an air tight container or zip lock bag. I slice whole apples (with core), squeeze a tiny bit of lemon, then reassemble the apple, wrap it in saran wrap, and rubberband it closed so the open slices aren’t exposed to oxidation/browning. Awesome tip! I’ve used lemon to stop guacamole from browning… guess it makes sense that it would work for apples! Thanks Pia. I’ll try that too. Slice the apple then put the slices back together in the shape of the apple then glad wrap the apple. Have you tried other “hummus” types? like edamame hummus, or white bean hummus? I am not a fan of regular hummus, but I love the others. Thanks! Yes, I try to limit my calories so these are definitely great choices for those on low-cal diets. Yes, I totally experience that too! Constantly looking for ways to switch it up 🙂 Thanks for stopping by! 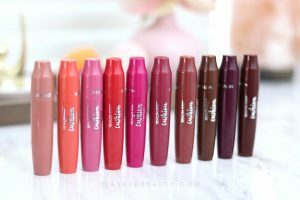 These all look great! Love the turkey and cheese roll up idea! 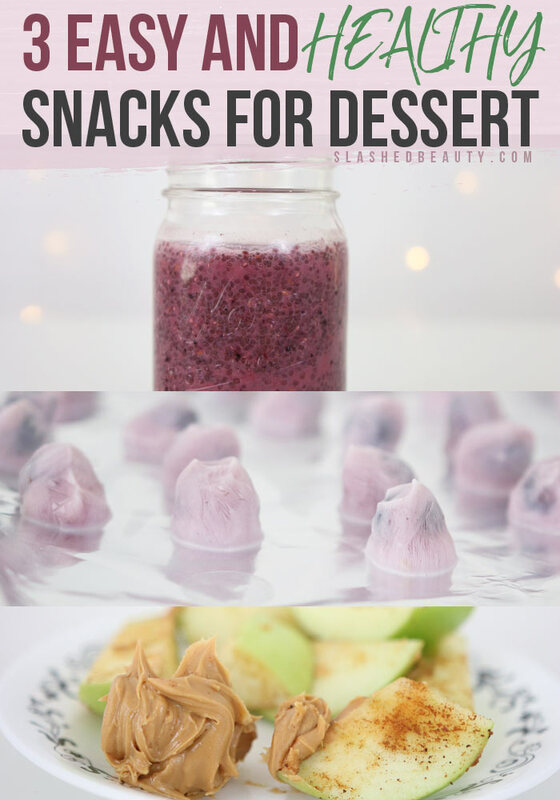 These are some great snack ideas, the hummus is my personal favourite. I think another one you may like is slice and apple so it’s circles and take the centre out. Smother with PB or any butter of choice and raisins and sliced almonds if you want a crunch. That is my go to snack that is filling also a banana with PB is a great snack as well. Great ideas here keep up the great work ! Ooh that sounds amazing! Thanks for the idea, Katie!